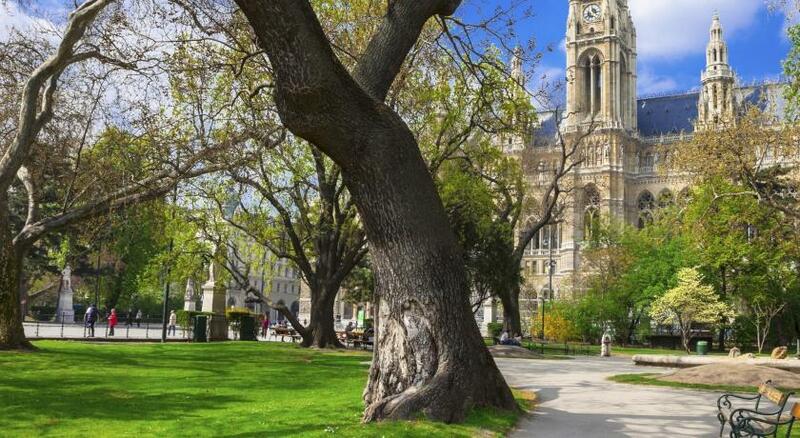 Lock in a great price for Austria Trend Hotel Rathauspark Wien – rated 8.6 by recent guests! Very clean, quiet, elegant hotel in a great location. Steps from the U Bahn and the Ring, next to Vienna University. The room was very comfortable and clean. The breakfast was excellent. Room was beautiful and large. Very clean. Feels like a luxury hotel. Bed was really comfortable and bathroom was spacious and great shower. In a really great area and they will arrange a cab to the airport. Staff was more than perfect. Super polite and friendly. It was in a quiet place and 15 min walking from the center. The staff was kind, friendly and efficient. We were only staying one night as we had an early morning flight and they worked hard to accommodate us the very best they could. It was also a stone's throw from the most incredible Christmas markets. Incredibly convenient! The property was centrally located close to one of the biggest Christmas markets, bars and most importantly the metro line only a few hundred meters away. We also got a room early and Check-In was amazingly fast with great friendly staff. The bed was comfortable and soft pillows with clean bedding a major plus. Hotel was clean, breakfast was awesome. Location is fantastic. Very nice hotel, in a good area. Staff were friendly, room was comfortable. 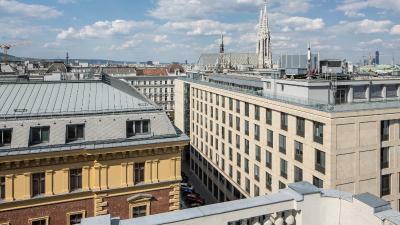 Austria Trend Hotel Rathauspark Wien This rating is a reflection of how the property compares to the industry standard when it comes to price, facilities and services available. It's based on a self-evaluation by the property. Use this rating to help choose your stay! One of our top picks in Vienna.Set in a 19th-century city palace, Austria Trend Hotel Rathauspark Wien offers comfortable rooms with free WiFi and air conditioning. 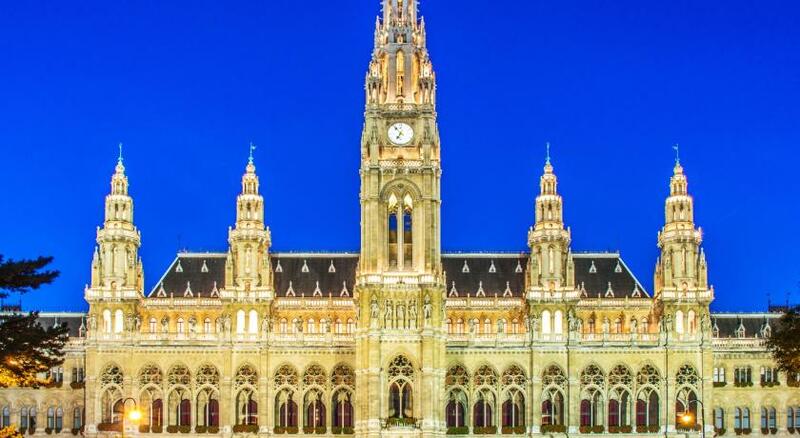 Vienna’s Town Hall and the historical University building are just a few feet away. 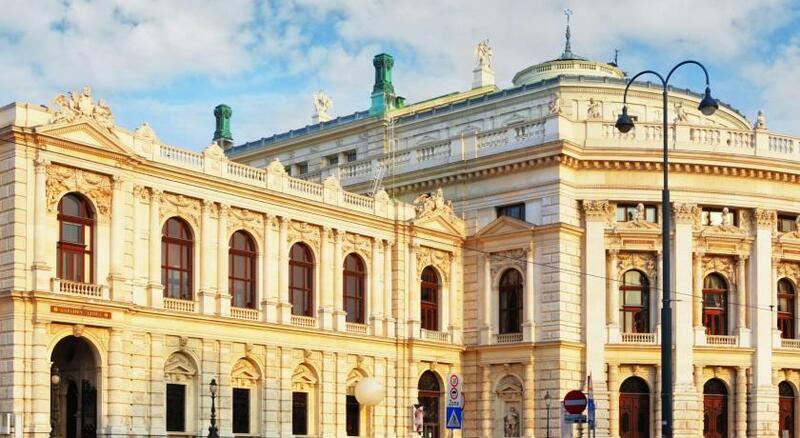 The refurbished city palace, former residence of novelist Stefan Zweig, dates back to 1882. 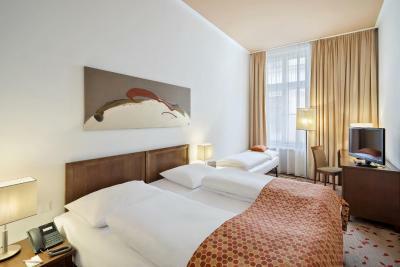 Hotel Rathauspark Wien features modern interiors and an elegant atmosphere. Guests can start the day with a rich buffet breakfast and finish it with a delicious cocktail at the lobby bar. Although very close to the most famous sights and the busy heart of Vienna, the nonsmoking Austria Trend Hotel Rathauspark Wien is located in a calm street. The government district as well as important national and international companies and embassies are nearby. 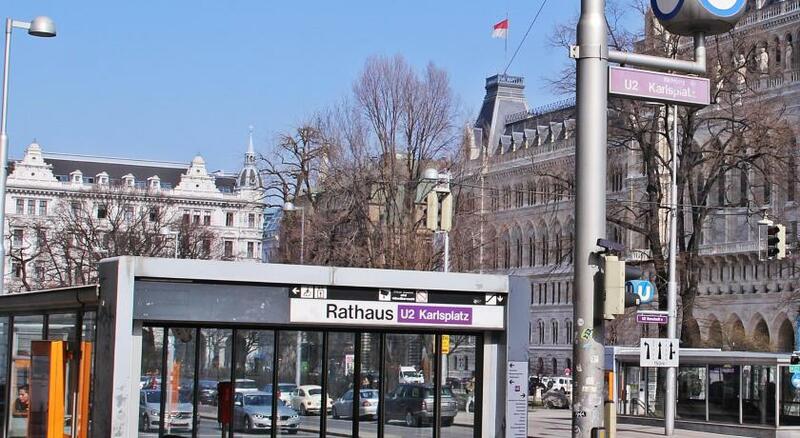 The Rathaus Underground Station, as well as several tram and bus stops, are only a few steps away from the Austria Trend Rathauspark Wien. 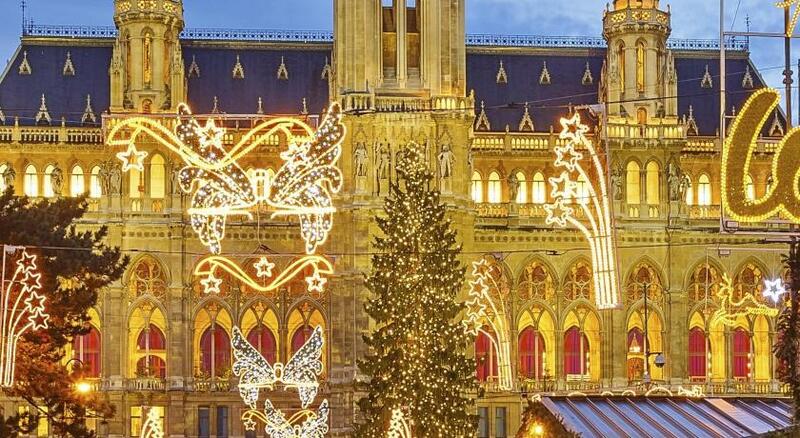 When would you like to stay at Austria Trend Hotel Rathauspark Wien? This room comes with free WiFi, air conditioning, satellite TV and a work desk. Please note that extra beds are not available in this room type and therefore no children can be accommodated. Public parking is available at a location nearby (reservation is not possible) and costs EUR 26 per day. This is a small single room with a 1.20-yard wide bed. It comes with free WiFi, air conditioning, flat-screen satellite TV and a work desk. 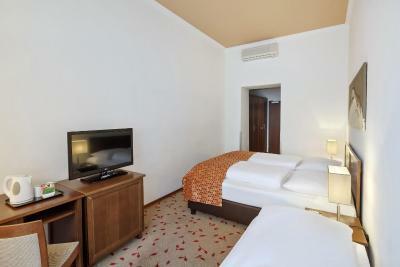 This room comes with free WiFi, air conditioning, a flat-screen satellite TV and a work desk. 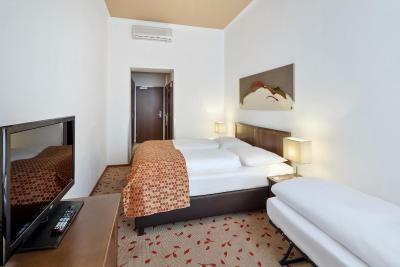 Located on an upper floor, this room comes with free WiFi, air conditioning, a flat-screen satellite TV and a work desk. Tea and coffee making facilities, a nonalcoholic mini-bar and a voucher for a welcome drink are included. Early check-in and late check-out are available on request and subject to availability. This family room has air conditioning, mini-bar and bathrobe. This spacious suite is air-conditioned and features a Nespresso coffee machine, an electric kettle with a selection of teas, toiletries by Bogner, a seating area or sofa, a mini-bar, and a fruit plate. 1 bottle of sparkling water is provided free of charge, and guests will receive a voucher for a welcome drink. 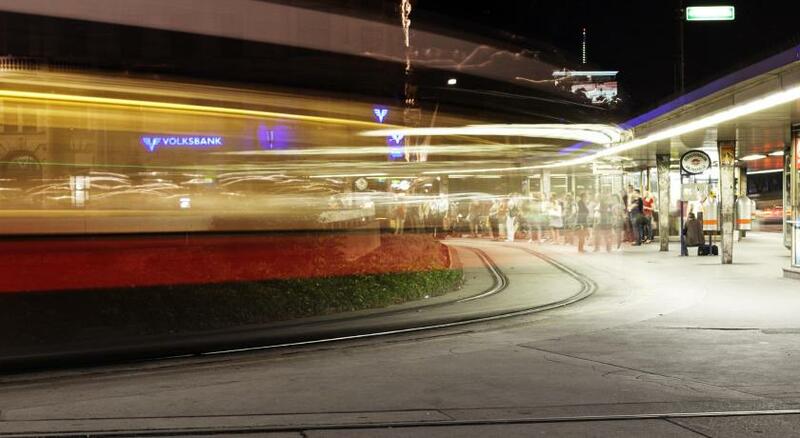 The constantly changing line up of events on Rathausplatz means it’s always worth a visit. And we provide the perfect place for a relaxing night’s sleep after all that fun, with our exclusive selection of pillows. 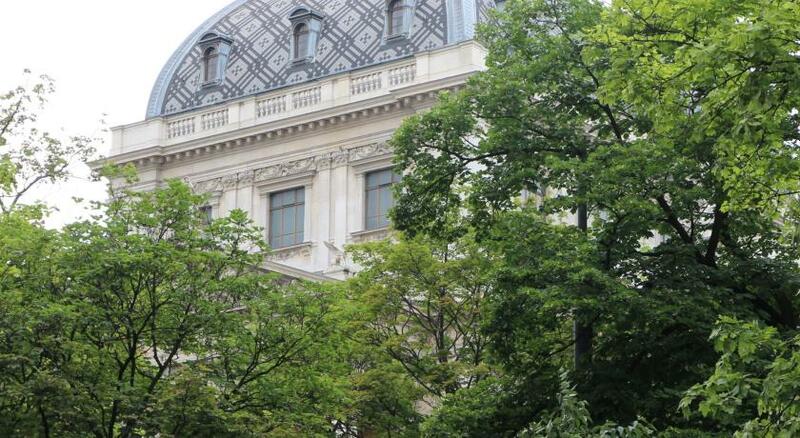 House Rules Austria Trend Hotel Rathauspark Wien takes special requests – add in the next step! Austria Trend Hotel Rathauspark Wien accepts these cards and reserves the right to temporarily hold an amount prior to arrival. Public garage parking spaces can be found within a 0.6 miles radius. The maximum height is 6.2 feet. Please note that in the Classic room, extra beds are not available and therefore no children can be accommodated. The only thing that could have been better would be not having one side of the double bed against a wall. It was a little difficult getting in and out of bed. Great staff, great location, service was impeccable. 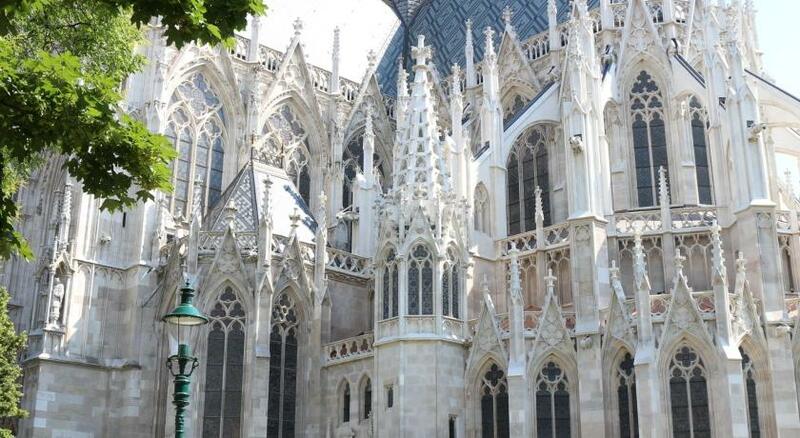 We would definitely return if visiting Vienna again. The hotel is located very close to the city center. We were walking all the time. I asked for a quiet room and got a room with a view of the yard. It was really quiet. The room was small, but it was OK. I was surprised by how clean it was. Also, I liked that you can treat yourself with some apples at the reception. Speaking about the breakfast it was great, many things to choose. The staff was also nice and friendly. The space of the room is a little small. It is more like business hotel, everything is good and convinent. The staff were not well informed on our arrival and it took about 45min to check us in. There seems to be a lack of communication between the different shifts. I would have liked a kettle or Nespresso machine in the double room i had booked. The larger bedroom was wonderful. Breakfast was amazing with a great selection. Location is good. Elevator is a bit slow. Hotel is within walking distance to metro (2-3mins) and even to Graben street (10-15mins). Our room on the 6th floor is nice n quiet. Staff is friendly. I thought the hotel was overpriced. There was no onsite restaurant except for breakfast. The bar area consisted of 2 tables. The lift broke while we were there making check out a challenge coming from the 5th floor. We were leaving the on the day of the Marathon. Lucky for us we left at 8:30am my daughter and granddaughter were leaving at 11:00a and were not informed there would be no taxi to pick them up. They needed to take the underground. It took nearly 3 hours to get to the airport! The location was good. You can walk or take the underground just about anywhere. per night price excluding breakfast was the only minus of hotel. Location was very good and Staff were very helpful. Cost was a little expensive especially as was room only and it didn’t include breakfast! The room is small as hell The window is not cover properly with the tend and at 6 all the light come in! I have been trying to adjust the tend but it did not help at all! Really disappointed! The bathroom is so small that 2 persons can not stay together at the same time Considering that you spend 140 for night and that the hotel pretends to be a 4* is a total waste of money! Very friendly desk staff. Great modern hotel with good breakfast. Very close to reach from Rathaus metro. Some nice bars and eateries nearby. Good base from which to explore either on foot or by metro. Dirty room with mold coming out of the vent. Smelling of chlorine. Dirty carpets. I changed the first room and the second room was a bit better (no smell of chlorine) but still not ok. Over all the rooms dont look like the pictures. Dirty, small, you could hear everything throug the walls and with furniture that falls apart. On arrival they offer to upgrade the room for an extra cost to a renovated room - it was like saying if you want a clean room pay. The restaurant was overcrowded and you have to wait to be able to eat breakfast. When a table opens up the waiter simply throws the crumbets down with a dry napkin.